Using animals as a metaphor of the characteristics of a new car is a popular technique of television adverts these days, the obvious is Jaguar, but it’s not always a powerful, graceful member of the feline family that is used, sometimes the humble domestic cat is an apt analogy of a new car. 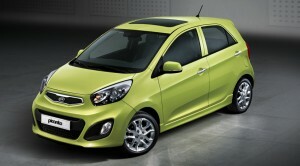 You may have seen an advert for the new Kia Picanto on television recently. The ‘small, yet mighty’ Picanto is seen leaping through the streets alongside a rather cute, acrobatic cat. The advert concludes with a confrontation between the cat and a fierce looking dog. I won’t spoil the ending for you just in case you haven’t seen it. It’s a nice looking car too with ‘an eco friendly engine,’ which is always an attractive prospect these days with the worry of global warming and despite its compact size its crammed with the latest driving technology from electronic stability control and voice activated Bluetooth. KIA are pretty confident about the quality of the new Picanto and as they say in the advert, all purchases of the car come with an impressive seven year warranty. Check it out in action below.